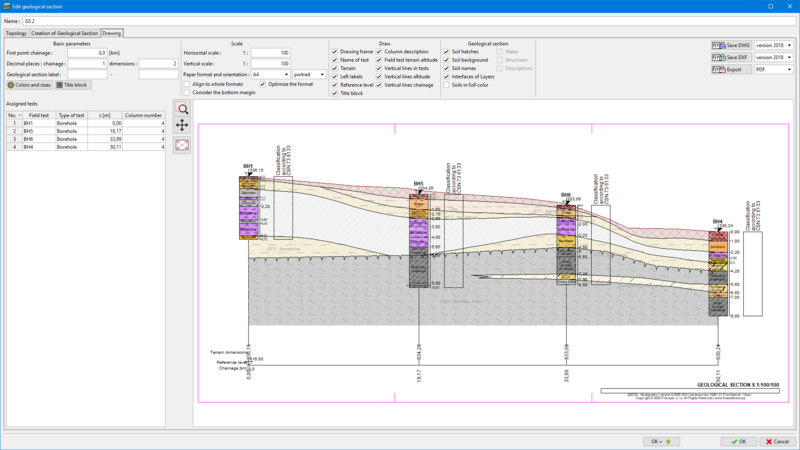 Frame "Geological Sections" serves for creation of geological sections (fences), where entered field tests, soil profiles and other user descriptions are displayed. It is available just for user with purchased module "Cross Sections". Created geological sections can be exported into several formats (*.DXF, *.DWG or *.PDF) in Drawing mode. Firstly in this frame it is necessary to define designed cross section - straight or polygon. (Graphical input is terminated by double click on the same point). 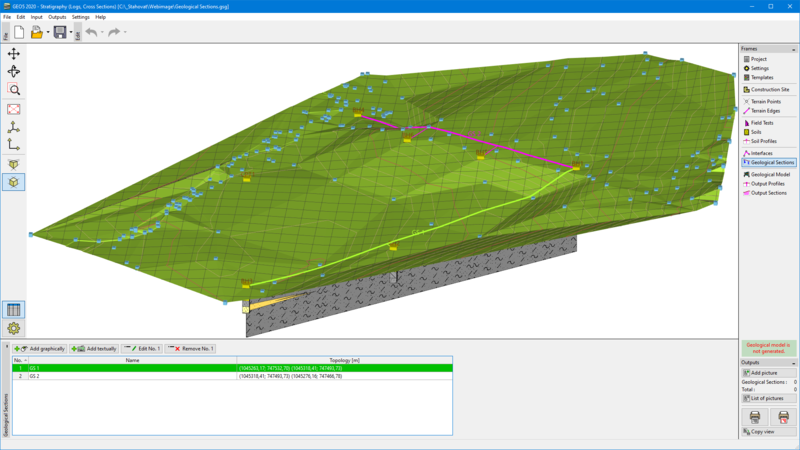 After input, the dialog window is opened in the "Topology" mode. Next we assign all field tests to be displayed on the drawing. The field tests are normally projected perpendicularly to the geological section, but it is possible to shift them too. The chainage of field test s and its distance from the geological section D are displayed in the "Assigned tests" table. The final drawing is defined in "Drawing" mode.